1. Heart disease and Stroke statistics ― 2012 update: a report from the American Heart Association. Circulation. 2012; 125: 2–220. 2. Chazov E.I. Rukovodstvo po arterial'noi gipertonii [Guidelines for Hypertension]. Moscow, Media-Medika, 2005. 3. Chazova I.E. Oshchepkova E.V. Chikhladze N.M. Arterial'naya gipertoniya (printsipy diagnostiki i lecheniya). Pos. dlya vrachei [Hypertension (principles of diagnosis and treatment). Guideline]. Moscow, 2005. 4. Bor'ba s arterial'noi gipertoniei. Doklad Komiteta ekspertov VOZ. Vsemirnaya organizatsiya zdravookhraneniya [Control of hypertension. Report of a WHO Expert Committee. World Health Organization]. Geneva, 1996. 5. Britov A.N., Oganov R.G. The national program to combat arterial hypertension in the USSR. Ter. arkhiv = Therapeutic archive. 1985; 11: 67. 6. Jakovljević D, Sarti C, Sivenius J, Torppa J, Mähönen M, Immonen-Räihä P, Kaarsalo E, Alhainen K, Kuulasmaa K, Tuomilehto J, Puska P, Salomaa V. Socioeconomic status and ischemic stroke: The FINMONICA Stroke Register. Stroke. 2001; 32 (7): 1492–1498. 7. Oshchepkova E.V. Federal Target Program "Prevention and treatment of hypertension in the Russian Federation" - 5-year results of its implementation. Zdravookhranenie v Rossiiskoi Federatsii = Health care of the Russian Federation. 2007; 5: 18–21. 8. Kalinina A.M., Oshchepkova E.V., Pozdnyakova Yu.M. Evaluating the effectiveness of "School Health" for hypertensive patients in primary care. Profilaktika zabolevanii i ukreplenie zdorov'ya = Disease prevention and health promotion. 2006; 4: 41–47. 9. Saltykova M.M., Oshchepkova E.V. Ataullakhanova D.M., Ataullakhanova D.M., Lazareva N.V., Bobokhonova A.S., Rogoza A.N. Electrocardiographic diagnosis of left ventricular hypertrophy in patients with hypertension. Ter. arkhiv = Therapeutic archive. 2006; 78 (12): 40–45. 10. Blinova E.V., Sakhnova T.A., Sergakova L.M., Ataullakhanova D.M., Oshchepkova E.V., Lazareva N.V., Aidu E.A.I., Trunov V.G., Titomir L.I. New approaches to the diagnosis of left ventricular hypertrophy by dipole electrocardiotopography ("DECARTO"). Ter. arkhiv = Therapeutic archive. 2005; 4: 8–10. 11. Rogoza A.N., Zairova A.R., Oshchepkova E.V. Measurement of pulse wave velocity with reactive hyperemia as a method of vasomotor endothelial function in hypertensive patients. Ter. arkhiv = Therapeutic archive. 2008; 4: 29–33. 12. Rogoza A.N., Oshchepkova E.V., Tsagareishvili E.V., Gorieva Sh.B. Sovremennye neinvazivnye metody izmereniya arterial'nogo davleniya dlya diagnostiki arterial'noi gipertonii i otsenki effektivnosti antigipertenzivnoi terapii. Pos. dlya vrachei [Current non-invasive measurement of blood pressure for hypertension and diagnostic evaluation of antihypertensive therapy. Guideline]. Moscow, 2007. 13. Danilov N.M., Chazova I.E., Savchenko A.P. Renovascular hypertension: diagnosis and treatment. Sistemnye gipertenzii = Systemic hypertension. 2009; 1: 71–73. 14. Chazova I.E., Litvin A.Yu. Obstructive sleep apnea syndrome and related cardiovascular complications. Kardiologiya = Cardiology. 2002; 11: 86–92. 15. Bolotova M.N., Galitsin P.V.. Kolos I.P., Litvin A.Yu., Chazova I.E. Obstructive sleep apnea as an independent risk factor for cardiovascular complications. Kardiovaskulyarnaya terapiya i profilaktika = Cardiovascular therapy and prevention. 2009; 5: 103–112. 16. Chazova I.E., Mychka V.B. Metabolic syndrome. Kardiovaskulyarnaya terapiya i profilaktika = Cardiovascular therapy and prevention. 2003; 3: 32–38. 17. Mamyrbaeva K.M., Mychka V.B., Chazova I.E. Hypertension and metabolic syndrom. Consilium medicum = Consilium medicum. 2004; 5: 320–323. 18. Prokopovich M.E., Varakin Yu.Ya., Oshchepkova E.V., Rebrova O.Yu. Prognostic factors of acute cerebrovascular events in hypertensive disease. Ter. arkhiv = Therapeutic archive. 2006; 10: 14–18. 19. Suslina Z.A., Varakin Yu.Ya., Maksimova M.Yu., Oshchepkova E.V. Conceptual framework for prevention of vascular diseases of the brain. Klinicheskaya farmakologiya i terapiya = Clinical pharmacology and therapy. 2004; 5: 35–43. 20. Varakin Yu.Ya. Profilaktika ONMK. Insul't: diagnostika, lechenie, profilaktika. 2-e izd. Monografiya pod red. Z.A. Suslinoi, M.A. Piradova [Prevention of stroke. Stroke: diagnosis, treatment, prevention. 2nd ed. Monograph edited by Z.A. Suslina, M.A. Piradov]. Moscow, MEDPress-inform, 2009. pp. 155–196. 21. Chazova I.E., Ostroumova O.D. FLUTE - Russian comparative multicenter, randomized, open the program to evaluate the efficacy and safety of treatment of patients with hypertension and cognitive impairment fixed combination drug "Tarka» (Abbott Laboratories, USA) compared with arbitrary long-acting antihypertensive drugs ("step by step" strategy). Sistemnye gipertenzii = Systemic hypertension. 2009; 4: 34–36. 22. Chazova I.E., Martynyuk T.V. Optimization of antihypertensive therapy in hypertensive patients at high risk: the new Russian program "Strategy A". Sistemnye gipertenzii = Systemic hypertension. 2010; 2: 47–52. 23. Chazova I.E., Fomin V.V., Razuvaeva M.A., Vigdorchik A.V. Resistant and uncontrolled hypertension in the Russian Federation: epidemiological characteristics and treatment approaches (Russian Register of uncontrolled and resistant hypertension "Regatta"). Kardiologicheskii vestnik = Cardiac bulletin. 2011; 1: 40–48. 24. Chazova I.E., Martynyuk T.V., Kolos I.P. The first results of the Russian program "Strategy" in patients with hypertension: evaluation of the effectiveness Noliprel with insufficient control of blood pressure. Consilium medicum = Consilium medicum. 2007; 5: 5–9. 25. 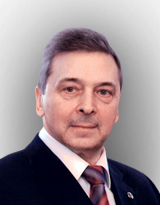 Chazova I.E., Ratova L.G., Galyavich A.S., Gapon L.I., Ivashkin V.T., Katel'nitskaya L.I., Martsevich S.Yu., Nedogoda S.V., Nikitin Yu.P., Oganov R.G., Petrichko T.A., Simonova G.I., Sokolov I.M., Fomin I.V., Shlyakhto E.V, Yakusevich V.V. The effectiveness of antihypertensive therapy in hypertensive patients, depending on the risk of cardiovascular complications. Kardiovaskulyarnaya terapiya i profilaktika = Cardiovascular therapy and prevention. 2008; 2: 78–82. 26. Chazova I.E., Belenkov Yu.N., Ratova L.G. The effectiveness of antihypertensive therapy in hypertensive patients, depending on the risk of cardiovascular complications. Kardiovaskulyarnaya terapiya i profilaktika = Cardiovascular therapy and prevention. 2005; 4: 4–14. 27. Dovgalevskii P.Ya., Oshchepkova E.V., Gridnev V.I. Register hypertension. Ter. arkhiv = Therapeutic archive. 2007; 1: 46–48.